If you have any questions regarding our products or services, please contact us by phone, fax, or email. We look forward to hearing from you. We invite you to schedule a visit to the STS Training Center to observe the facilities and meet our instructors. 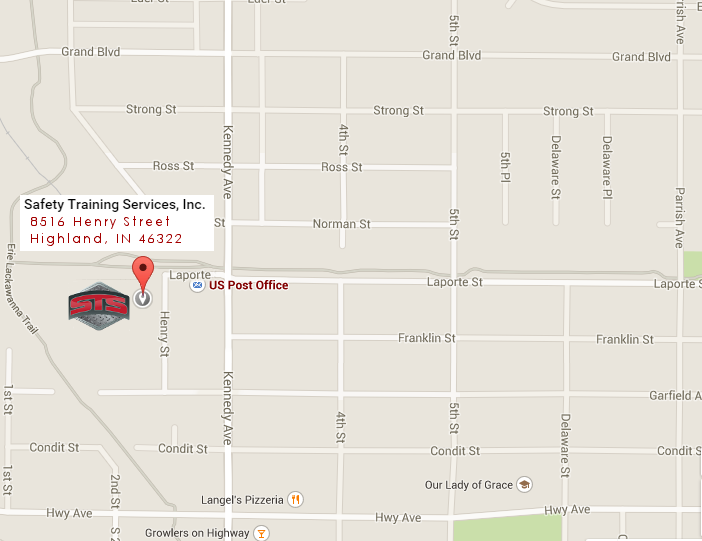 We are proud to announce our move to our new location, in Highland, Indiana! Please use the below map for reference, or "Google" our new address for directions. We are directly behind the Highland Post Office! Just head south from I-80 on Kennedy Ave.